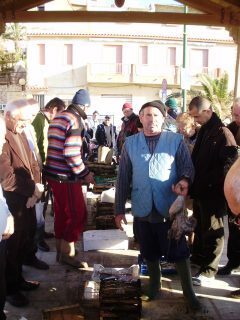 Every morning, around seven a.m., in the seaside tourist village in Marinella di Selinunte, when the town has just woken up, it plays an from the ancient taste, typical of most traditional and rich culture of the Mediterranean, "The Enchantment of freshly caught fish", which rewards the hard work of the first night of the sailors. After a night of fishing at dawn, the vessels of the sailors Selinuntines fall to the port, carrying with them the fruit of their hard work, hire Fish, octopus, cuttlefish, ink, lobster, swordfish, aioli, SARAC and many other delicacies del mar our own, be prepared and arranged to be immediately sold in Piazza di Scalo Bruca Marinella di Selinunte. 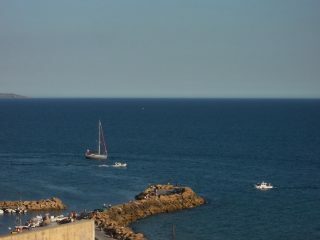 For decades this magic takes place, accompanying with its beauty and its feature that turns the day at the beginning of Selinuntines. 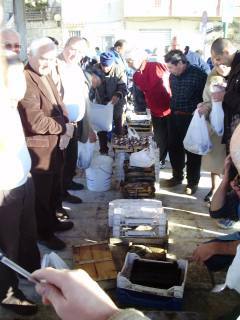 The boxes of fish are arranged in rows in front of the house auctioneer, gradually they are weighed and discharged on the bench to show all their content, the auctioneer for each tape and begins the auction by show of hands each participant re-launches its bid up the award. Laughter, joking and always asks the neighbor who took the fish, then everyone goes home with its fresh fish, just glad of an era. 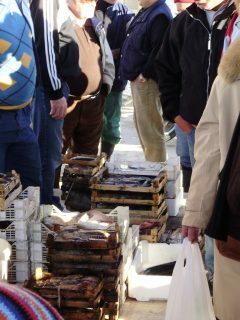 Auction fish is like a big party, a lively marketplace, where people are happy together for the auction, the cafe opened, great movement with the city just woke up, people hope for seize the tapes with the best fish, many onlookers, tourists, restaurateurs who think to take the fresh fish for their menu, all in an atmosphere of good things, traditions, ancient maritime flavor that Mediterranean wanted to give to its people.